Venice, Antonio di Bartolomeo (Miscomini)., 22 Jan. 1476. 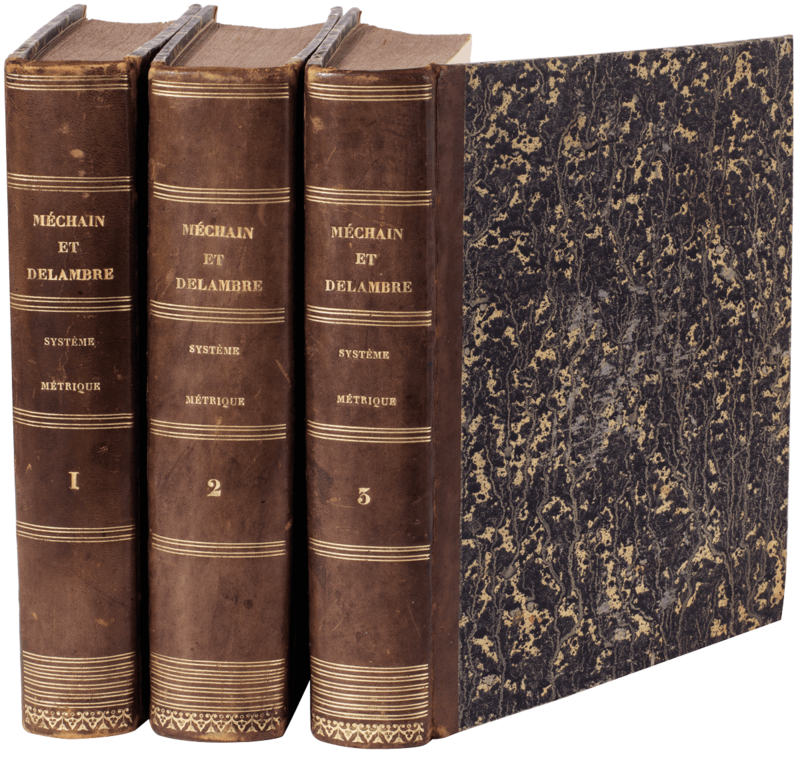 Folio (400 x 286 mm. ), two volumes bound in one, v.I after v.II (v. I): [A-C10 D-I, L-O8.10 P-R8 S6 ], 152 of 154 leaves, lacking only V4 and A1 blanks. (v. II): [a-t10 u-x8 ], 209 of 210 leaves, lacking only x8 blank, but preserving the blanks a1 and x7. Vol. II is bound before v. I, with the two contents tables bound at the end. Finely illuminated and rubricated: two large historiated initials with extensions in blue, magenta, green and other colors, on gilt grounds and with gilt sun-dotting, depicting Jerome with lion in his study (v. II), and Jerome with lion praying at the Cross (v. I), presumably by a Venetian artist; contemporary painted armorial within a wreath at the foot of a1r; red and blue alternating lombard initials and paragraph marks; contemporary manuscript foliation in brown ink. Scattered foxing, mostly marginal, the paper generally strong and fresh; some deckle preserved. Eighteenth-century plain paper boards, vellum spine with lettering-piece, edges left plain. From the library of Michael Wodhull (bought at Edwards's sale, 12 Nov. 1793). Second edition of this recension, including detailed contents tables, usually including incipits, supplied by Theodorus Lelius. Lelius (1427- 1466) , bishop of Feltre in 1462 and then of Treviso until his death, was considered one of the greatest canon lawyers of the XV century, his eloquence inspired Pope Pius II to label him “my harp”. The first Lelius edition was printed in Rome by Sixtus Riessinger, c. 1469-1470. 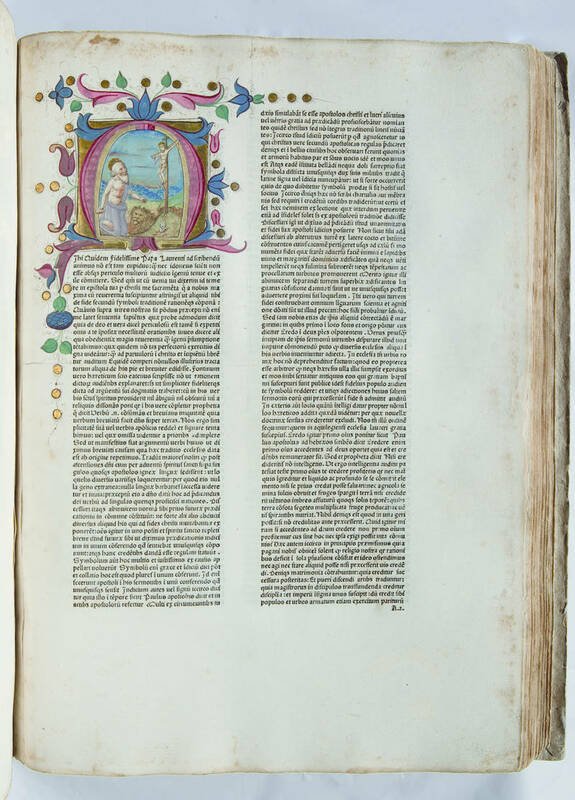 This is the first explicitly dated work of Antonio Miscomini unless the date is to be interpeted in accordance with Venice style as 22 Jan. 1477. He was active for a few years in Venice in the mid-1470s, then returned to his native city of Florence, where he printed prolifically into the 1490s. Hain-Copinger 8556. GW 2426. Goff H-166. 1. BMC V, 240. IGI 4737.